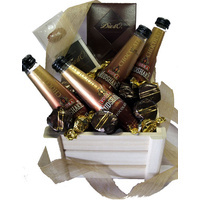 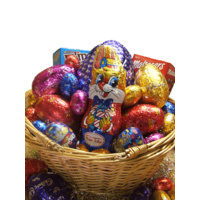 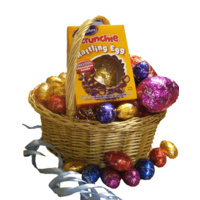 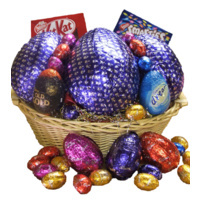 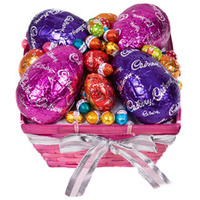 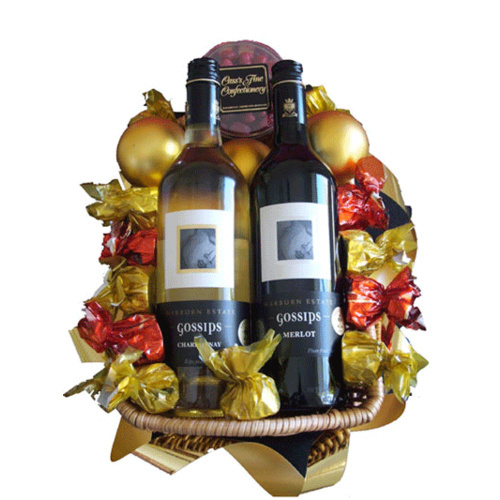 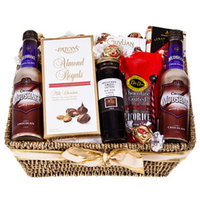 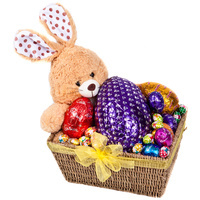 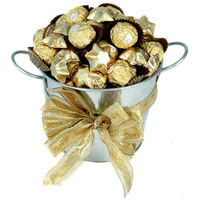 A double wine basket featuring Chardonnay, Merlot, chocolates & nibbles perfect for Easter. 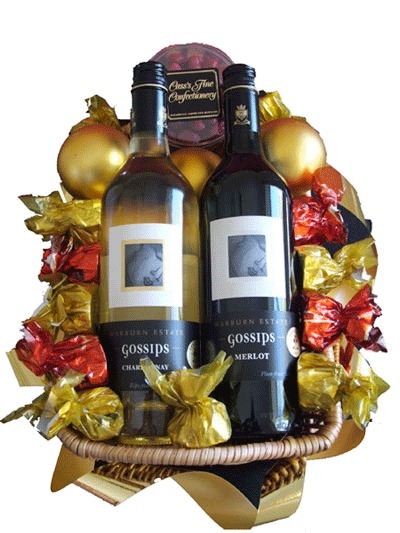 Presented in a Double Wine Tray Basket. 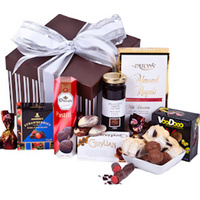 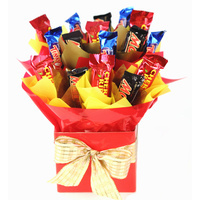 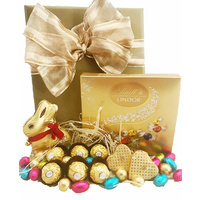 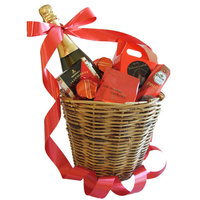 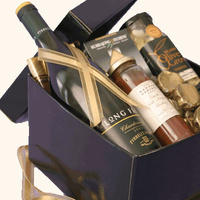 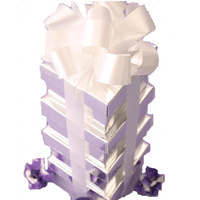 An elegant gift with flavoursome wines, smooth chocolates and crunchy peanuts!